Many of my blogger friends ask me to write a post about how I am doing on-page optimization for my posts. These days on-page optimization is difficult task for some bloggers. But to be very honest it is not too much difficult. WordPress users can use a plenty of SEO plugins to optimize their blog posts. And there are also many plugins available for on-page optimization. In this post I will suggest you some plugins to use for on-page optimization. And also I will tell you basics of on-page optimization. There are a number of elements of on-page optimization for blog posts. You will not ignore any single aspect to get maximum results. 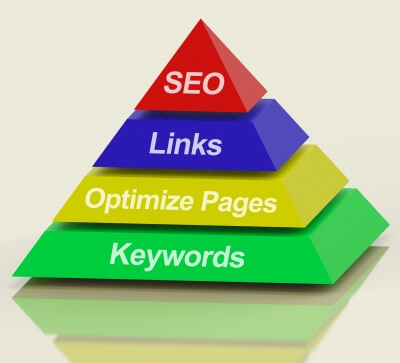 Most essential part of on-page optimization is keyword. Keyword is a word which a person, search on a search engine. After choosing keyword, one should use keyword randomly throughout the post. I recommend keyword should be minimum of 2% and maximum of 6%. You should use keyword randomly throughout the post. But you must follow these guidelines to use keyword in post. Keyword should include in link of post. You should include keyword in H2 and H3 headings. Meta description should also have keyword inside. Keyword should use in alt tag of image of post. Type your keyword in first sentence of your blog post. Type your keyword at least one time in last 100 words. Write a post minimum of 300 words. Pro-bloggers engage their visitors and readers by giving internal links in their post. It is best strategy to engage your readers. And giving internal links is one of important part of on-page optimization. So how we can give internal links? I recommend you to read my SEO related articles. It is also a good practice to include external links in your blog post. But many of bloggers did not like to give external links. Although it is a part of on-page optimization. Your post should include an image. Image in post have many benefits along with on-page optimization. And as I suggest before your image should have a keyword written in alt tag. I have listed most important elements required for on-page optimization. If I you want to add some more required elements then please share your ideas in comments. You have provided good information that one should know to how to optimize page. Use of internal links, h2 and h3 headings in posts, minimum 300 words post length are some of the basic elements if any one wants to have a successful blog. Yes! Bloggers should use keywords in H2 and H3 headings. Many of us did not bother this element of on-page optimization. I like what Mubashir wrote but tend to disagree with him on the minimum limitation of posts. What’s the use of striving to writing 300 words when your points are verily well made with less than 300 words? Three hundred words count is minimum recommendation, this is doesn’t mean bloggers would not write more than recommended. Actually post length depends on your topic and available information. Suppose you have a topic like How to Reset Iphone then what you can write? One can cover this topic within 100 to 150 words. Because it did not required any further information. But exceptional in some cases. I think if a person cannot write more, then he should try to manage 300 words count for post to get better results. I have written only for on-page optimization. Article submission is not a part of on-page optimization. Really nice post Mubashir, you’ve covered all the on-page SEO tips, interlinking and keyword uses matter a lot to drive traffic from search engines. Thanks. marilyn cada recently posted…How to Make Money Online Using the Law of Karma? I am sure you will find these tips helpful. Hoping for more article like this ! I am sure you will find increase in page views per visit on your blog by giving internal links. Great tips Mubashir. And I think SEO plugin by Yoast does On page SEO Optimization perfectly. On page optimization helps to rank better in search results. Yap. I am also using WordPress SEO by Yoast plugin. Glad to know you like the post. Great lists your got there. Yes, if you use WordPress SEO plugin, it comes with this checklist to you’ll never forget to do all these. Great tips. With a little care and practice, we can all do our own on page seo for free, without needing any paid tools. On-page SEO is very important if you want to rank for any keyword but i have always wondered which of On-page SEO and Off-page SEO is more important. Thanks for sharing though. For me off-page optimization is more important than on-page optimization. You can also use Yoast SEO plugin to analyze your page and check for things like keyword density and such. Since installing it (and using it correctly) I’ve noticed dramatic changes in SERP rankings on a few of my websites. I now prefer to use Yoast over AIO SEO due to its analyze feature – which checks for most of the things you’ve listed here! James McAllister recently posted…Why Become A Blogger? I was also using AIO SEO pack. Because that time I was new in blogging world. And using SEO by Yoast was very difficult for me. Nearly 3 months before I have also reply one of my commentator that SEO by Yoast is difficult for newbies. To be very honest at that time I was silently explaining my internal feelings. But when I start using. I found it is best ever free plugin and easy to use for newbies also. Just need to understand basics. Mubashir, I want to know that any theme effected on SEO of any site? Can SEO depend on theme? SEO is not totally dependent on theme. But if you are using a light weight theme with easy navigation then your visitors can find your content easily. This will increase engagement on your blog. And ultimately this process increase your blog reputation in the eye of search engine.